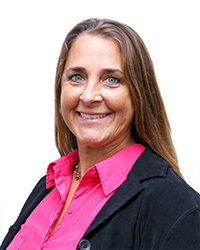 Maureen Johnson, or professor Mo, joined the University of St Augustine in 2010 as contributing faculty in the Physical Therapy Program. She has expanded her teaching into the Masters of Occupational Therapy Program and now she is core faculty in the MOT program. She has enjoyed teaching neurorehabilitation courses in both the OT and PT curriculum. Professor Mo has 26 years’ clinical experience working with adults with neurological insult such as strokes, spinal cord injuries, and brain injuries at Rancho Los Amigos National Rehabilitation Center, Scripps Memorial Hospital in Encinitas, and Peace Corps, Paraguay, South America.